22 Hotels found in Agia Pelagia! Open: April-October... This 5-star deluxe resort hotel is located on a private peninsula, 20 minutes from the City and the International Airport of Heraklion and next to the traditional fishing village of Aghia Pelaghia. Open:April-October... 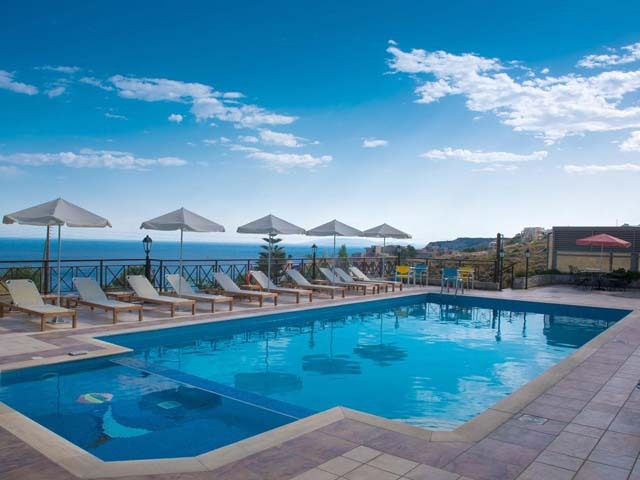 This 5-star deluxe resort hotel is located on a private peninsula, 20 minutes from the City and the International Airport of Heraklion and next to the traditional fishing village of Agia Pelagia. 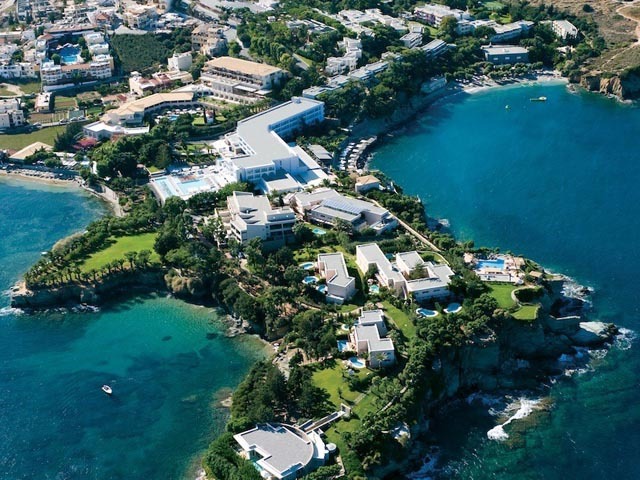 Open: April to October... CHC Sea Side Resort & Spa - CHC Hotels Group, 5 stars, is situated at the gulf of Mononaftis at a quiet area, 22 km West of Heraklion airport, 18 km West of Heraklion city center and 80 m from the beach of Mononaftis. Open:April-October... 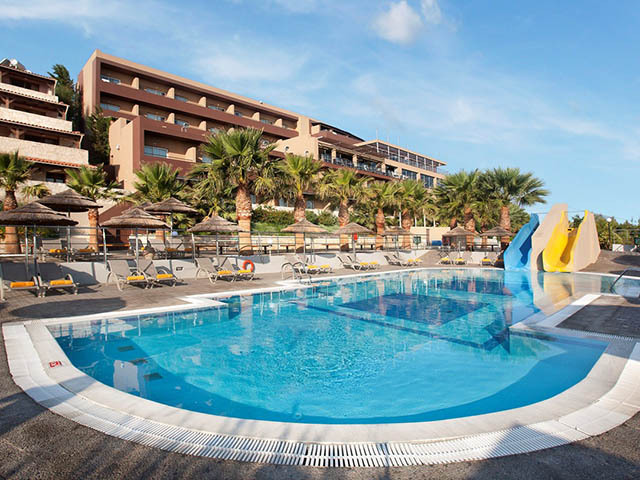 Situated in the middle of the resort hotel complex, the Ruby Red Regal Hotel is a cosy deluxe hotel of great style and elegance, perched as a Minoan Palace. The hotel has commodious verandas overlooking the St. Athanasios Hotel Chapel, the colourful gardens and the Aghia Pelaghia Beach & Bay. Open: April-October... The Oh! All-Suite Hotel is a brand-new unique hotel with luxury suites, maisonettes and villas ranging from 45 sq. m. to 510 sq. m., with sharing and private temperature-controlled heated swimming pools. 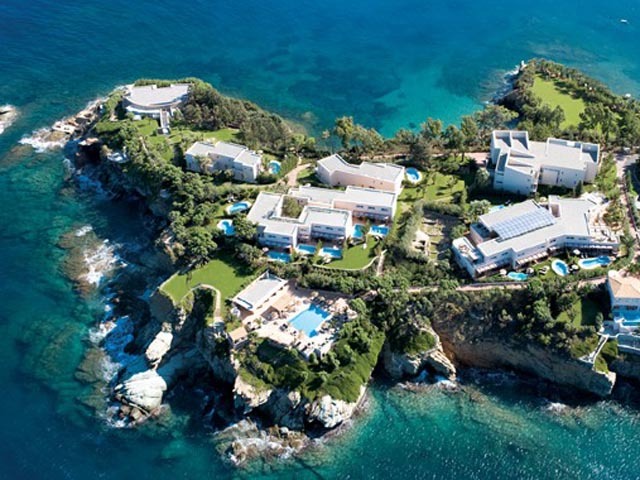 This new hotel is a totally private section of the resort for VIP guests offering exclusive services and facilities. Open:April-October... The Divine Thalassa Sea-front luxury suites and maisonettes is a newly-created private neighbourhood drenched by endless Aegean views. Open: April - October... We are happy to welcome you to Irida Apartments which is situated on a hill overlooking the unique bay and the picturesque village of Agia Pelagia, Crete. Open:May to October...Aquarius Hotel is located in the picturesque harbor of Agia Pelagia in the center of the northern coast of Crete, only 18 kilometers west of the islands capital, Heraklion. from the center of Agia Pelagia and its beaches are only 300 meters away. Open: April - October ... Alexander House Hotel is a four star hotel built and run by the Alexandrakis family for over twenty years. The family hotel aims to offer a personal service and to illustrate the true spirit of Cretan hospitality. Open : May to October .... 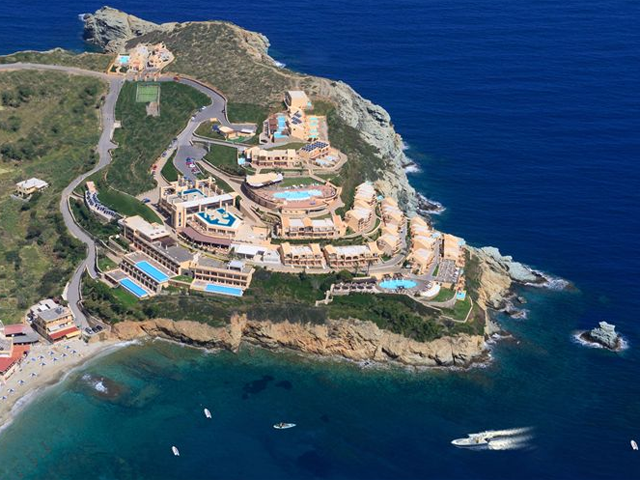 The Blue Bay Resort & Spa is located in Agia Pelagia west of Heraklion (23km) and is built amphitheatrically on a hill overlooking the beautiful blue of the Cretan Sea. In Blue Bay, we offer a cordial and spontaneous hospitality and this is reflected in our friendly personnel that always have their interest turned to the visitor and immediately respond to every request with a smile.